The event was held at Drink Shop Do Kings Cross. It was such an adorable venue and sold all sorts of quirky bits and bobs alongside being a teashop. I had a Spiced Chai Tea in this very fitting teapot and a slice of Salted Caramel cake, which were both soooo yummy! The event was held by Nadja of Throw Me Something Beautiful and Olivia of Beauty from the Fjord and it was fab to finally put faces to the blogs (huge thank you to them for organising the afternoon!) 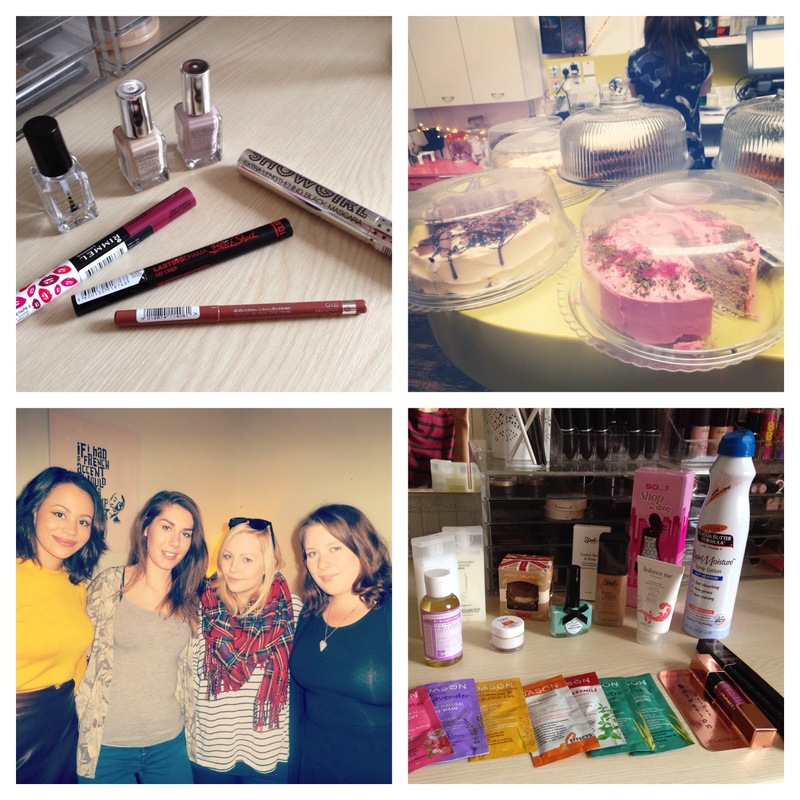 Also in attendance was Jessica, who runs the FBL Facebook and Twitter and Lucie from Fat Beauty. It was a lot of fun just to be able to talk with so many like-minded people in such a great setting. We were also treated to a goodie bag and a pick and mix. I walked away with bits from So...?, Palmer's, Sleek, Dr. Bronner, Sponge, Jason, Makeup Revolution, Ciate, Balance Me, Giovanni & ForYou*. 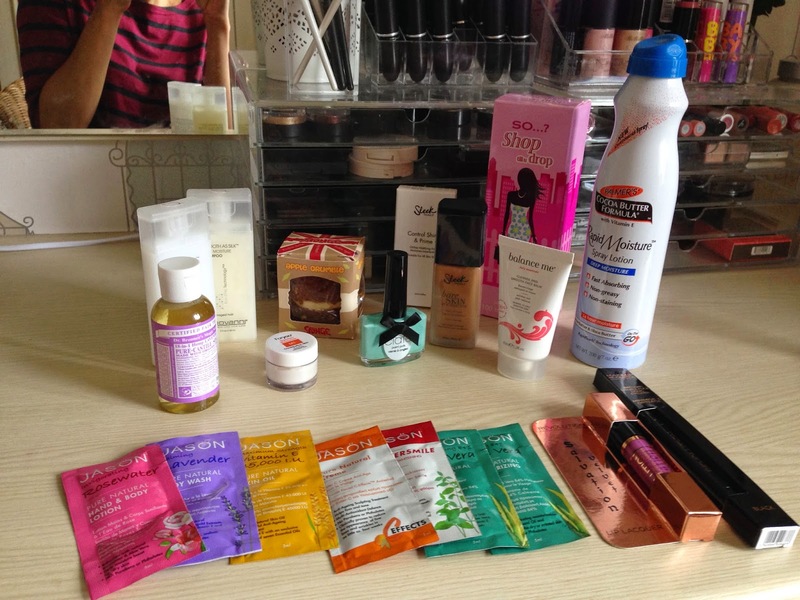 Stay tuned to hear my thoughts on some of these products! I also grabbed a few things at Brent Cross Shopping Centre and the big Tesco Extra in Watford (Tesco really is stepping up its beauty game!) 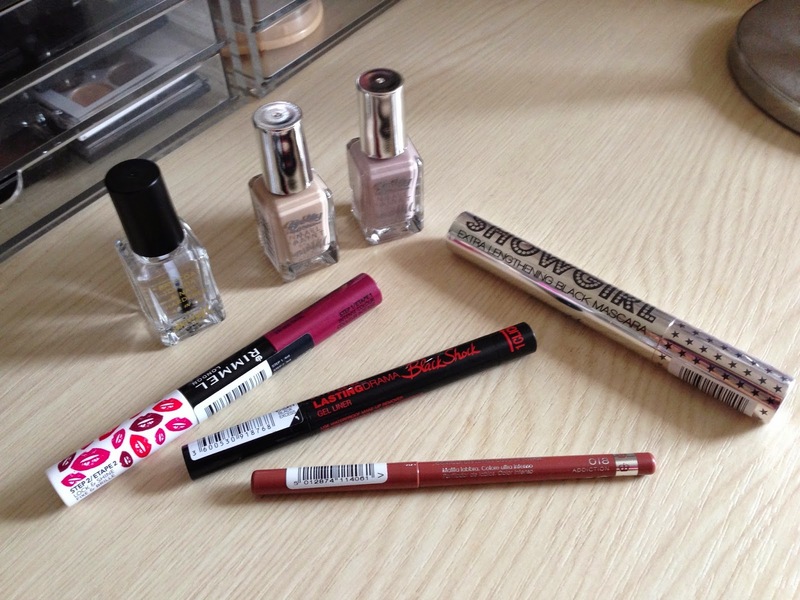 which has a well-stocked, fantastic range of drugstore beauty and there was a 3 for 2 mix-and-match across almost all the brands. I picked up a second Rimmel Provocalips in Kiss Fatal a plum shade (£6.99), the Maybelline Lasting Drama Black Shock Gel Liner (£8.99) (I'll let you know how it compares to it's Benefit counterpart) and I finally got my hands on a Rimmel Exaggerate Full Colour Lip Liner in Addiction (£3.99). In Boots at Brent Cross I got 3 Barry M Nail Paints and as I'd spent £7 I got a free Showgirl Mascara, last time I picked up the Volume on so this time I got the Lengthening version. I picked up the Top & Base Coat (£2.99), as I've had it in the past and it does the job. I also got 2 of the Gelly Hi Shine formula in Almond and Lychee. *GOODIE BAG CONISISTS OF PRESS SAMPLES. Tea parties are so nice! Looks like you got yourself some very cute things! Thank you for coming all the way from Manchester for Bloggers Tea Party! I'm really happy to hear that you had an amazing time and got to know some fellow bloggers. By the way, you looked gorgeous and I loved your outfit! Sounds like you had a lovely day! Those cakes look so good haha. We were here recently; if our group was larger we would have likely ordered one of each item just to confirm that all the food event coordinator recommended is high quality.